The good news for remodelers, according to recent forecasts, is that demand is expected to continue to grow over the next three years. The not-so-good news is that growth will be slower than it has been for the past three years. Although many remodelers remain optimistic conditions will improve in the months ahead, some already are anticipating a decline in the fourth quarter of this year. Recently released data confirms the trend reported last month that remodeling activity remained strong in the third quarter of this year. Metrostudy announced that its Residential Remodeling Index (RRI) hit a new all-time high in the third quarter (115.7), up 1.1 percent from the previous quarter and 5.2 percent from the same time last year. That makes 26 consecutive quarters of quarter-over-quarter growth since 2011, said Metrostudy. The report projects that all 381 metro statistical areas (MSAs) should experience growth of around 4.8 percent for the year. Mark Boud, chief economist at Metrostudy, attributed the growth to a strong job market and people choosing to remain in their homes and make improvements rather than purchase a next home. At the same, noted Boud, other factors, such as an expected plateau in job growth as the nation approaches full employment, decreasing home affordability, declining sales of existing homes, and increased costs of labor and materials will likely put a damper on demand. Weighing both sides of the equation, Boud projects "net-positive" modified growth over the next two years of 2.9 percent in 2019 and 2.3 percent in 2020. Growth is expected to move upward again in 2021. His projections are in keeping with the most recent Leading Indicator of Remodeling Activity (LIRA) forecast, which also foresees growth for the entire home improvement industry decelerating from a decade high of 7.7 percent this year to 6.6 percent by the third quarter of 2019. Some remodelers are already beginning to experience softening demand and anticipate a decline in growth in the fourth quarter. GuildQuality, which conducts customer service surveys for various industries, reported that the portion of remodelers responding to its 2018 Fourth Quarter Market Predictions survey who stated they believe market conditions would decline in the fourth quarter hit an all-time quarter-over-quarter high, up 17.1 percent, or more than four times that of the third quarter. The portion who stated they believed the market would improve dropped by 20 percent. In addition, only 50 percent of respondents to the GuildQuality survey said they thought their company’s performance would improve in the fourth quarter, compared to 71.2 percent a year ago. At the same time, the portion who anticipated performance would decline rose 7.4 percent (to 9.8 percent vs. 2.4 percent in 2017). 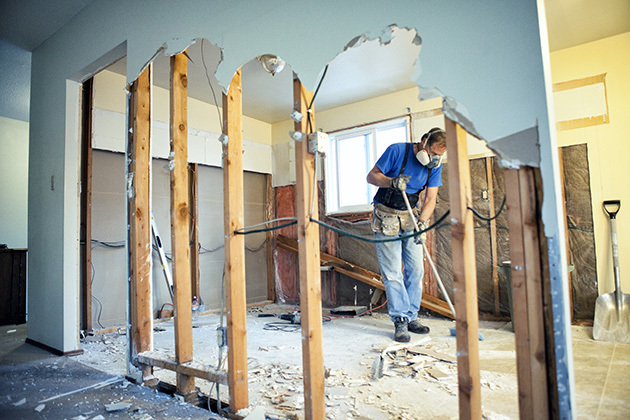 These figures are mostly an indication of just how well business has been lately for remodelers, who did not experience the usual seasonal slowdown in fourth quarter demand last year, rather than the beginning of a downward slope. On the whole, remodelers remain optimistic that market conditions will remain favorable in the coming months. The portion of GuildQuality respondents who said current market conditions are "Good" or "Excellent" actually increased by 1.7 percent (to 84.3 percent) over the previous quarter. Similarly, the National Association of Home Builder’s third quarter Remodeling Market Index (RMI) found market conditions have remained relatively stable, with a majority of remodelers experiencing positive growth, although expecting some possible softening in the fourth quarter. These fluctuations are likely to continue as market conditions wobble between opportunities and challenges. Remodelers will need to adjust to a new pace in the year ahead, not exactly that of the tortoise, but not that of the hare they have enjoyed lately.